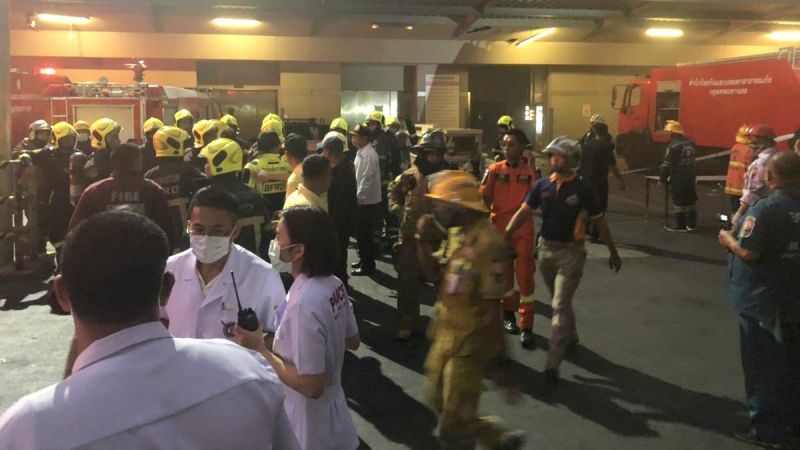 The CentralWorld management stated on its Facebook page that the fire started at about 5.40pm in a document storage room on the eighth floor of the shopping centre, which stands adjacent to Centara Grand at CentralWorld hotel on Rama I Road, close to the Ratchaprasong intersection in Pathumwan district. Witnesses saw two people jumping from the eighth floor. Thick black smoke was seen billowing out, and explosions were heard. Both the hotel and the shopping centre were evacuated. Initial reports said many people were trapped in the building. 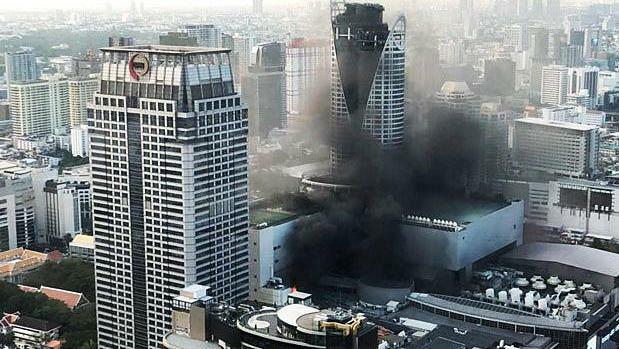 The CentralWorld page said its firefighters put out the blaze at 6.10pm, about half an hour after it started. Bangkok governor Aswin Kwangmuang later said the fire started in a document room on the eighth floor of the shopping centre. The whole 16-storey building was ordered closed pending an investigation into the cause of the fire and the effectiveness of its fire suppression system. The deceased were reportedly staff at the shopping complex. The 15 injured people were admitted at Police General Hospital and Ratchavithi Hospital for smoke inhalation. The blaze caused heavy traffic snarl-ups in the vicinity, especially on Rama I and Ratchadamri roads, as it occurred in the evening rush hour.